Four new forms of hantavirus, one of the most virulent pathogens transmitted from animals to humans, have been identified by international research contributed to by the University of Sydney. "This breakthrough in understanding the biodiversity and evolution of hantaviruses could help arm us against the threat of a pandemic," said Professor Eddie Holmes, an NHMRC Australia Fellow at the University of Sydney, based at the Sydney Emerging Infections and Biosecurity Institute. "Hantavirus is a major threat to global health, making information that adds to our poor understanding of how it evolved and is transmitted an important contribution to fighting the disease." Hantavirus causes influenza-like symptoms which can lead to respiratory and kidney failure in humans. It is a life-threatening emerging infection which usually appears as sporadic disease outbreaks such as that which occurred in 1993 in a region of the United States where New Mexico, Arizona, Colorado, and Utah share a border. "Our research describes four novel hantaviruses, sampled from bats and shrews in China, which are distinct from known hantaviruses." "Despite the public health threat hantavirus poses there is no scientific consensus on their evolutionary history, especially how diverse they are or how often their transmission jumps species barriers." "The fact the evolutionary 'trees' or pathways of the virus don't always match those of their mammalian hosts makes it possible to conclude that hantaviruses frequently jump host barriers and emerge in new species, with bats serving as ancient and important hosts," said Professor Holmes. 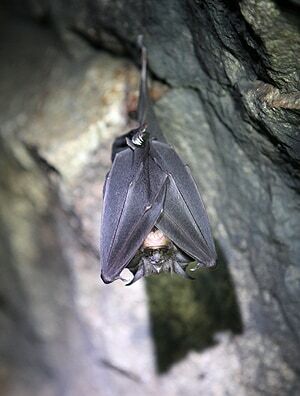 "Overall that analysis shows that bats are likely to be important hosts from which new hantaviruses may emerge in the future and possibly pass to humans."